When people think of growing their own food, they think of having to own huge tracts of land and agricultural experience. But this kind of sustainable living can be done from the comfort of your own home. Not only does this help you save on groceries, it also helps you cultivate an eco-friendly home and lessens your need to drive down to the local store, easing traffic congestion and reducing carbon emissions. With a bit of planning, green spaces for food can even help you reduce heating and cooling expenses, as green roofs and yards make ventilation a breeze. The Backyard: If you’re lucky enough to have your own backyard, consider converting parts of it into a mini-farm. There are plenty of resources online on how to turn your backyard into a vegetable or herb or fruit garden. Many of these foods can be grown without the need for expensive tools or bulky equipment; in fact, most of them just need a lot of time, attention, and of course, care. Green Spaces: But even without a backyard, you can still do your part in creating a green space for you to grow food: green roofs and balconies are becoming popular alternatives to people living in the city. Green roofs and balconies take advantage of limited spaces with vertical planters and hydroponics. Resources on how to do these are readily available online, and can save you significant amounts of money in the long run. Having these spaces can also help you lessen the need for plastic packaging. We sometimes take for granted all the single-use plastics we buy. But by growing your own food, you significantly reduce your plastic use. When we think of sustainability, it’s not just about food and energy, it’s in the everyday products we use like detergents, cleaners, shampoo, soap, and other things. These are necessities to living comfortably, but we must also consider how they’re manufactured, where the packaging goes after usage, and what we can do to be independent of them. Although there are now several products in the market that use sustainable methods of production, nothing beats creating your own. Luckily, everything you need to create your own cleaning and hygiene products can either be grown or can be found in your local market. 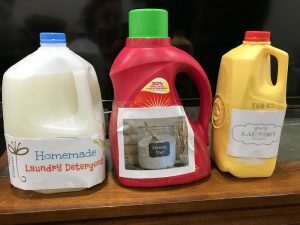 All Natural Cleaning Products: Create your own potent, all-natural, borax-free laundry detergents by blending together coconut-based soaps (although tallow and lard based ones are fine too) with baking soda, essential oils, and vinegar. All of these ingredients are 100% natural and sustainable and are readily available. But it doesn’t have to stop there: you can also create all natural cleaning materials like mops and sponges. Simply cut up an old bath towel into strips and attach them to the handle of an old broom. When it gets worn out, just replace it with strips from another unused towel. Sponges can also be grown naturally. Many people think that sponges come from the sea, but in fact, sponges are actually the dried up husks of a particular type of gourd called the Egyptian Cucumber. These can be grown in your backyard. All Natural Hygiene Products: From soaps and facial wash to shampoo and lotions, the Internet is full of resources to help you make your own chemical-free, all-natural, sustainable hygiene products. Creating these necessities not only saves you money, it helps you reduce plastic use and reduces the amount of chemicals you put on your body. Homemade soaps are fast becoming popular DIY projects for many people, as are homemade shampoos and deodorants. Ditching store-bought hygiene products also reduces the instances of animal testing. Although not as rampant as before, some products are still tested on animals before being released in the market. Do your part to stop this practice by boycotting any known manufacturers that use animal testing and by using homemade products. In the past few years, we’ve seen so many technological advancements in the field of renewable energy that there’s no excuse not to use them. From solar panels and wind turbines, to microhydro and geothermal power systems, renewable energy has come a long way from science fiction into science fact. Solar Power: One of the most popular renewable energy sources in the market is solar power. Recent developments have seen drastic improvements in collecting and storing solar power for homes, not to mention making it cheaper and more accessible. 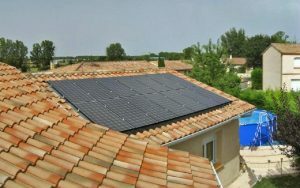 Consider installing solar panel grids on the roof of your home, or even in the backyard. However, most solar panels use rare earth materials that require extensive mining, so be sure you do research before investing in this. Wind Turbines: Wind energy is renewable, non-polluting, and easily accessible. For homes that rest in wide properties, consider installing a wind turbine. These fan-like devices are mounted on towers and generate electricity via the wind. They do, however, make a considerable amount of noise, and may require technical skill to install. Hydro Systems: Especially useful for properties near running water like rivers or waterfalls, micro hydro power systems are now available for homes. These scaled down versions of hydro plants can generate 5-10 kilowatts of energy depending on the water source and the building it’s powering. It is a bit expensive, but is completely emissions-free and does not have toxic components. Geothermal Generators: residential geothermal energy is a fairly new, and fairly expensive, piece of technology. The installation process is also extensive, as it requires drilling deep underground and placing special pipes that capture the geothermal energy. There are many other ways to shift into a more sustainable style of living, and we’d like to hear from you! Send us your sustainable living life changes and let’s do our part to save the earth!